Meet our new Single Ventile Cycling Gilet - help us name it and you could win one when it's launched. Our Greenspot® Jackets have been widely accepted by both lovers of Ventile® Jackets and the cycling world. Our range is expanding from the original Greenspot® Double Ventile® Jacket and we would now like to introduce the latest to our range - a Single Ventile® Cycling Gilet. Our new single ventile® cycling gilet offers excellent weather protection to keep your core warm, useful pockets on the front and rear, a scooped tail giving good protection in a riding position and a close fit. 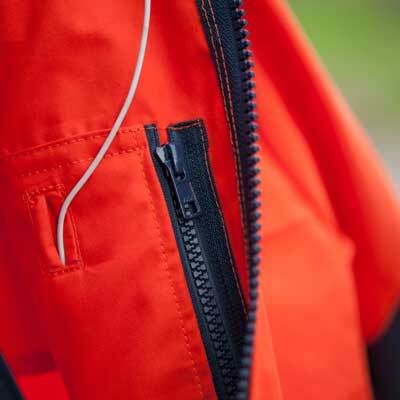 It is designed to be an alternative to synthetic fabric gilets for most conditions. We have had many debates about the name of the gilet - should we name it the Greenspot® Ventile® Gilet or should we give it a new name - perhaps continuing our tradition of naming after iconic Scottish mountains and places? We would like your help to decide on a name for the Gilet. Can you justify the Greenspot® name or suggest another name with your reasons. It may be an unforgettable cycle ride - perhaps the North Coast 500 - or a Scottish Mountain climb such as the Bealach Na Ba (Pass of the Cattle). To enter the competion please send your entry by email to sales@hilltrek.co.uk and give your reason for selecting either Greenspot® Ventile® Gilet or your suggested name. Our team will choose the winner. The winner will receive as their prize, one of the first production gilets worth £125. Each entrant will also receive 10% off their next purchase with us. Only one name is permitted per person. 10% discount for each entrant is valid on one purchase only. Purchase must be made before 31st December 2018. We reserve the right to publish the name of the winner, photographs, videos and other relevant information.